Sydney Shop Girl: Hello, Seven Day Weekend!!!!! Travel Memoirs With A Difference. Hello, Seven Day Weekend!!!!! Travel Memoirs With A Difference. After a week of putting mind over matter, I've finally limped across the finishing line. It's now Friday evening and a whole week off beckons. I'm still calling it a seven day weekend though because even from here, it doesn't feel like it's going to be long enough. The irony of starting annual leave on Workaholic's Day is one that I will safely enjoy from the comfort of my sofa. The crazy thing is that despite all my moaning and dying swan posturing over the last few days, I was actually a bit wistful when I recorded my 'absence message' for voicemail and flicked on my 'out of office' message. Work's always not as bad as you think it is when you're winding things down for a break. I finally caught up with Offspring last night. I don't know what upset me more - that there are only two episodes left to the season or Nina and Patrick's 'goodbye' over cups of lemonade. It is true, sometimes, isn't it? That sometimes two people are so right for each other yet they seem to 'bring out the worst' in each other when they're together but are completely devastated when apart. I have a feeling though, that Nina's unexpected news may see her and Patrick crossing paths again. In true Offspring fashion, though, I just can't think how it will all pan out. It hasn't all been about Offspring plot developments at SSG HQ (aka the sofa at SSG Manor with both the arctic fox throw and blue triangle pillow on top of it). I've read both of Mike McIntyre's travel memoirs from cover to cover and had a think about life as I did so. McIntyre is an established journalist who has worked as a travel reporter for the LA Times and has also contributed to a number of other American publications. The 'easy reading' style of his work belies the power of the images and thoughts he shares about two life changing trips he took. 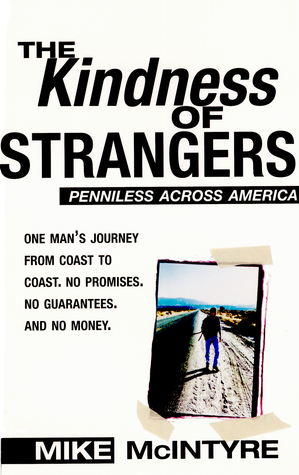 'The Kindness of Strangers' is Mike's memoir of travelling across the US with only his back pack, pair of legs and street smarts. The only rule is that he can neither pay for anything or accept cash from the people he meets. Mike meets a wide cross section of American society and to me, part of the fascination of this novel was realising how different parts of the US are compared to the cities I have already visited. That places like New York City, San Francisco and Hawaii whose cultural diversity made me feel quite at home may not be representative of how many American cities are. As Mike travels across the cultural and physical landscape of his country, he finds friends and generosity in the most unexpected places. The gifts he receives are not just items that physically sustain him through the journey but he is told stories and experiences acts of humanity that help affirm his faith in his fellow Americans. 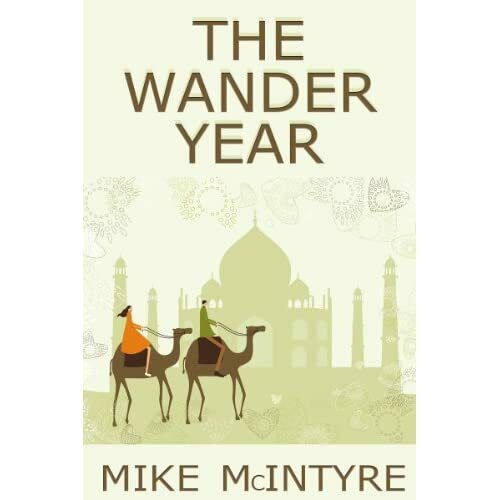 Mike's second memoir, 'The Wander Year' is the novel form of a series of newspaper columns he wrote about a year long trip he took with his now wife Andrea. The premise of this journey was simple. To take a year away from the routine of everyday life and backpack around the world. Thankfully, money was allowed! The novel is divided into brief essays about each city that Mike visited with Andrea. It's the ultimate arm chair traveller's read. Mike's perspective as a forty something backpacker provides an original take on what many would consider a gap year rite of passage. Along the way, some of Mike's preconceptions are challenged in a good way and at other times, his gut instinct about the people he meets proves to be sadly on the mark. It would take away from your own enjoyment of the novel if I were to describe specific countries here but just know that passages from 'The Wander Year' will probably come to mind when you visit the cities Mike writes about with such warmth and humour. I'm feeling completely relaxed already. There's a lot to be said for starting a break with a bit of arm chair travel and good television. Have a lovely weekend, everyone and let's see if I can be a bit better about blogging now that I've got a bit of time on my hands!